The deer population in the Town of Truro has exploded and officials are trying to figure out how to drive the animals out. The Town of Truro is overrun with deer. Deer in people's yards, deer in parking lots and deer darting across roads. Town officials say they have become such a nuisance in the Nova Scotia community that one last-resort solution being considered is bringing in hunters to shoot the animals with bow and arrows. Town CAO Mike Dolter said if Truro decides to do a cull, it would be set up in a way that keeps the public safe. "It would be bow only. There would be no long guns within town limits, because there is a restriction on that," he said. "With it set up in a specific way, the general public would be safe should we have to go to that measure. We can control where any projectile would be going." Four or five hunters would be licensed to hunt deer. In order to bring the population down, Dolter said the cull would have to be conducted over several years. He said the town has been in discussions with the Department of Natural Resources about the prospect of a hunt. The town is holding a public meeting next Tuesday at the Truro fire hall at 5:30 p.m. to discuss how to deal with the deer. "In some cases we've got fairly large herds, up to 10 and 15 deer within the urban setting. So this isn't within the outskirts, they're in the downtown core," Dolter said. The animals are a divisive issue, according to Dolter. He said some people in the community desperately want them gone, saying they're a nuisance that carry ticks and eat through gardens. Others love having deer around. 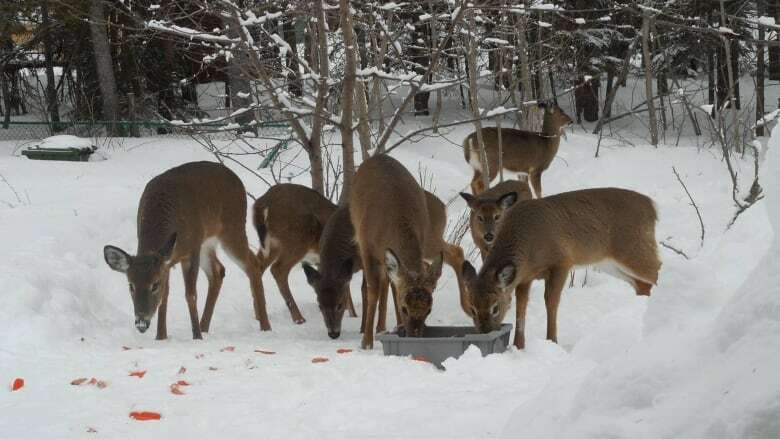 "We're just getting to the point where the population is getting so large that when you're in Truro on a daily basis it's very rare that you aren't going to see a deer," said Dolter. Many people in the town are feeding deer even though it's against the town's bylaws, he said. That practice means deer return for food. The town also wants to encourage people to help passively drive the deer out of Truro. Dolter said people can set up motion-sensing sprinkler systems in their yards to scare deer away, or grow varieties of vegetables and plants in their garden that don't attract the animals. "The hunt is not where we're headed if we can avoid it," he said. "We're trying to encourage people to do smart things that will discourage deer from being in town and then we will look at where we go from there."